Had to finish this for the IPMS Moorsele show this weekend. Will take beauty pics later. I hope you'll give also details of the parts used. 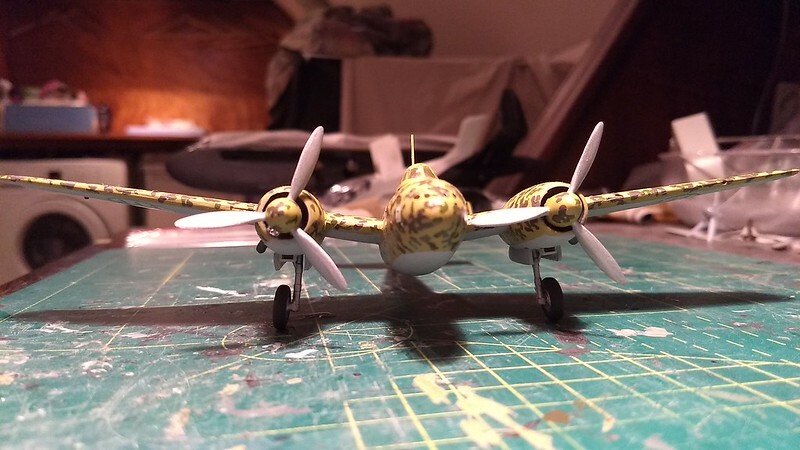 Sure Loupgarou: it's an 1/72 Airfix mosquito fuselage ( underscale for the JNM's) with Airfix Mitsubishi Dinah Wings and engines, Airfix Do217 props and Azur Potez 63-11 tailplane and stabilo. Can't remember were the canopy was sourced. I had guessed the french tail, but the other parts are so well blended together, I had no idea of their origin. Yep, a french tail. I was surprised how well the wings matched the fuselage. For the props to fit i needed to add 3 mm at each root. That's the only styrene i used. It's a whif i dreamed up as a heavy fighter variant of the underwhelming and unsuccesfull Breda Ba 88. Still one of the best looking italian WW2 aircraft IMHO. ...but I thought you'd just done a paint whiff on one of their planes. Excellent bit of kit bashing. It all works together so well. 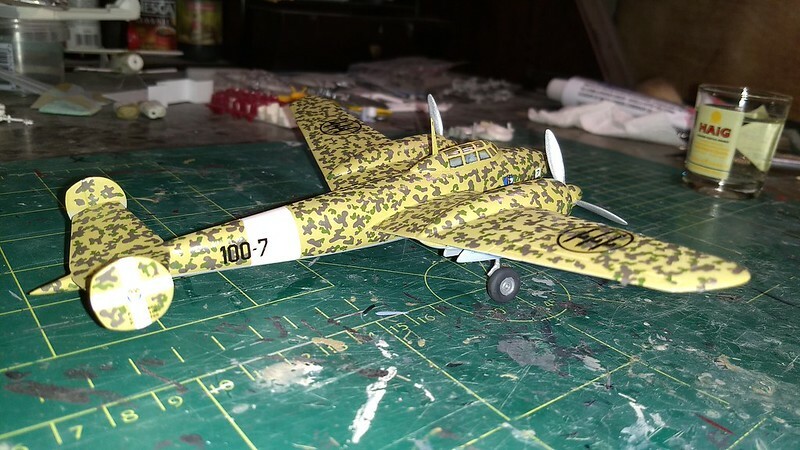 How did you do the camo? Hand painted? Masked? Decaled? Trained ants with tiny airbrushes? 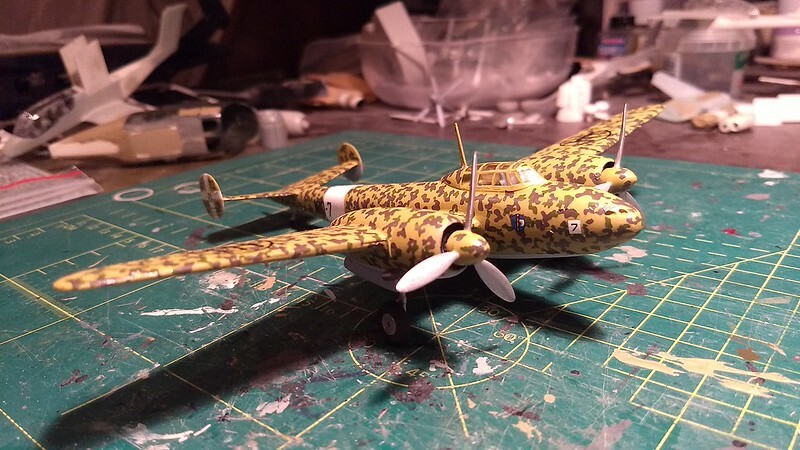 My first thoughts were "it's a development of the Breda 88", and I agree it's a nice looking airplane, but then I have a soft spot for most things Italian. 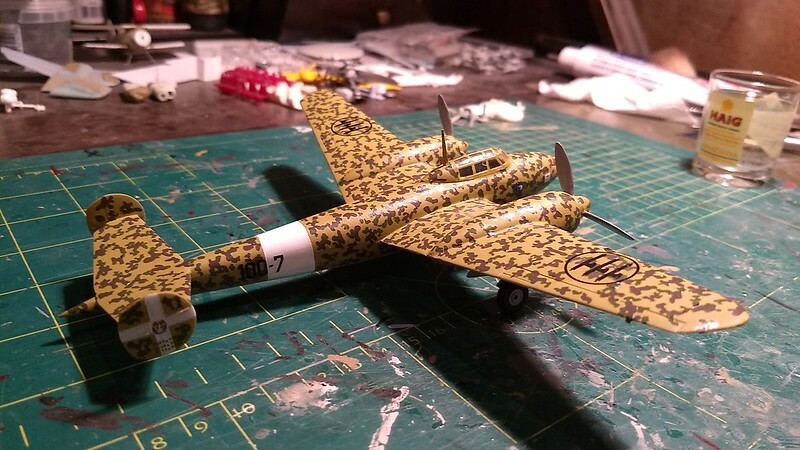 Gorgeous build, had me thinking Tu-2 for a while. Let us know the reaction when you show this one off. No, it was decalled with Mike Garant decals "scicili 1941" so I guess that where it's framed in time. We'll see what the "crowd" thinks of this model. Ipms Moorsele show is tomorrow. Hobbes and TomZ are around. 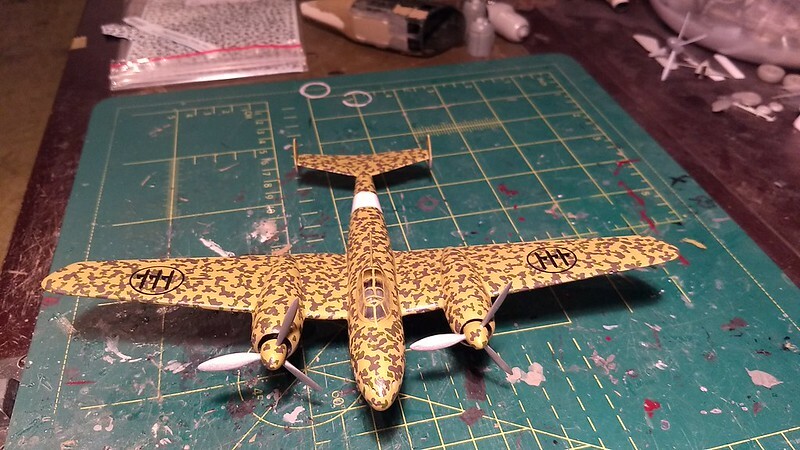 I have some decals for similar Japanese camo. I hadn't thought of using it on an Italian build until now. It would be interesting to see if anyone picked it. Your welcome Fred. 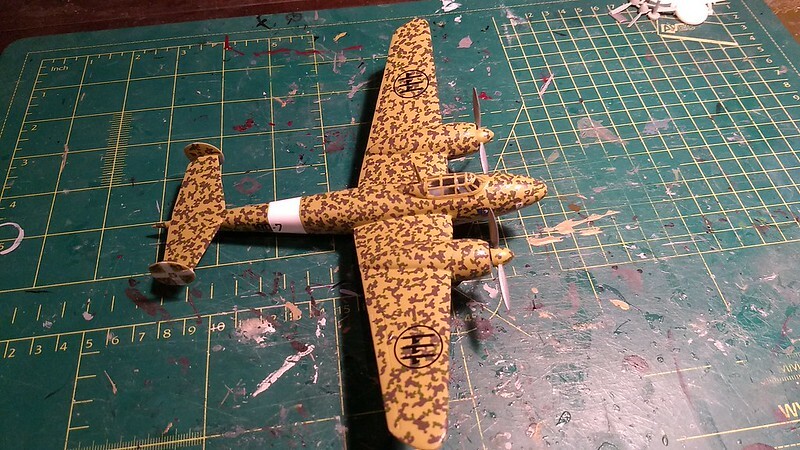 Just a hint for applying the decals: cut the " blobs" seperatly....don't cut corners. Take your time! They're really thin and are wasted instantly once you don't slide them carefully of the paper! I've some of the Japanese ones Fred. Again I think they are specifically for a Hein, but I plan using them on a couple of other things, one of which will be Italian.